AMAZING WAYS TO IMPROVE YOUR FINANCES NOW! It's true, money doesn't buy happiness. But it will make you more comfortable, open doors, create opportunities, and make the good things in your life even better. How important it is to be smart handling money and finances. When there are opportunity to save costs, you do it, or when there are needs to be frugal or calculative, you would do it. Being frugal doesn't just mean saving money—it means spending your money wisely. ... right things so you have the money for the things that are important to you. .... from the department store and something hand-crafted to last a lifetime. 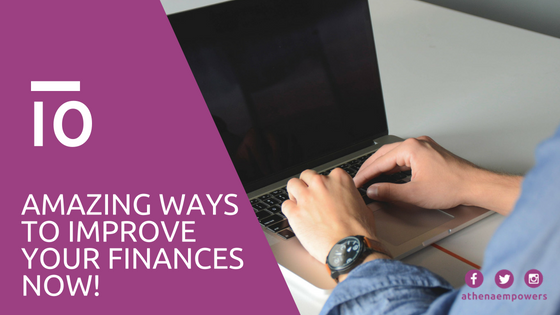 We love to share some tips on how you can improve your finances now! It can help you make more money or quit your boring day job. To help you learn more ways to improve your finances. This board game is amazing as it teaches you a lot about money and building assets. 4. Read Rich Dad Poor Dad: What The Rich Teach Their Kids About Money That the Poor and Middle Class Do Not! 6. Read more financial blogs. This can help you avoid terrible financial burdens in the case of unforeseen disasters. So, if you have loved ones who depend on you financially you need to start thinking about proper life insurance. If you’re a working or stay-at-home parent, homeowner who has a mortgage, business owner and so one, you need to look into life insurance as soon as possible.